Today I have an Adventure themed card for you. Not because I am big into the outdoors, but because it is the theme of the current Global Design Project's challenge. When I saw the challenge I jumped at the chance to play along. Mainly because I have not given as much love as I should have to my Fox Builder Punch and Foxy Friends stamp set. This was a bundle that when I first saw in the catalogue, I just had to have. I know we all have products like that, right. I think you will agree that fox is super cute. 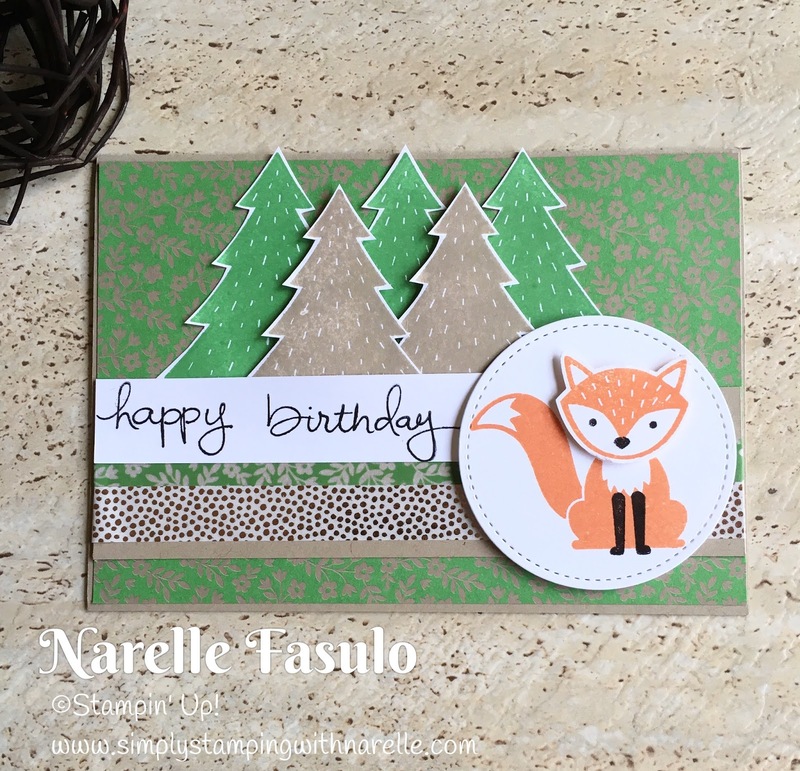 The trees are from the same stamp set, and the Happy Birthday is from Endless Birthday Wishes. The patterned paper in the background is from the Affectionately Yours paper pack which happens to be 20% off this week as part of the Online Extravaganza. The other product on special that I have used, is the matching Affectionately Yours Washi Tape. Did you notice that I also used the Stitched Shapes Framelits. These are so popular that they are actually on back order. You can still add them to your cart, they will just be delayed in shipping. Everything else will be shipped from your order, the framelits will be shipped when a new container arrives. 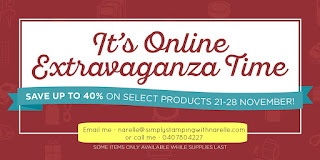 So make sure you add them to your order while you are grabbing all the bargains from the Online Extravaganza. It's so true, I've got that bundle, and think I've only made 1 card from it. Lol. Not because I don't like it, just because there's so many awesome things, and I get distracted. I've got to get this one out again. Great card!